ÂŠ2019 Engel & VĂślkers. All rights reserved. Each brokerage independently owned and operated. Engel & VĂślkers and its independent License Partners are Equal Opportunity Employers and fully support the principals of the Fair Housing Act. All information provided is deemed reliable but is not guaranteed and should be independently verified. Based internationally in over 800 locations in more than 33 countries on four continents. Currently opertating in 167 locations throughout the Americas. More than 11,500 people operating under the Engel & Völkers brand worldwide. ©2019 Engel & Völkers. All rights reserved. Each brokerage independently owned and operated. Engel & Völkers and its independent License Partners are Equal Opportunity Employers and fully support the principals of the Fair Housing Act. All information provided is deemed reliable but is not guaranteed and should be independently verified. Gestalt Group - A Connected Force We are a group of highly specialized real estate professionals at the top of our respective markets. We work together to leverage our attributes and geographical advantages to ensure all EV advisors come out on top. Park City. San Francisco. Lake Tahoe. Newport Beach. Napa Valley. The location is irrelevant, wherever Engel & Völkers opens its doors, the philosophy remains the same. The group is an interconnected system, referrals are frequent, and cross-marketing is embraced. Outside of our group, it is not uncommon to pick up the phone to call Germany for marketing ideas, or assistance in locating an international referral agent. Above all, we are a family made up of the top agents in our respective markets. we represent some of the most affluent individuals in the country, and we have a fantastic time in the process. Ranked in the TOP 1% of 1.25 million of All Residential Real Estate Sales Professionals in the USA by RealTrends.com, is consistently in the TOP 10% of the local market, and a Top Producing Agent. The #1 Top Producing Individual Agent 2015-2018. Jeffrey Corman is equal parts seasoned professional, savvy negotiator and sagacious REALTOR®, having represented clients in transactions totaling more than $100 million since 2015. As the national and global community continues to seek out residency in Nevada, Jeffrey maintains a current blog regarding the Tahoe - Reno development and investment opportunities as well as and the tax benefits of living in Northern Nevada. LiveInIncline.com To best serve his clients, Jeffrey is a Certified Luxury Home Marketing Specialist, Certified Residential Specialist, and Certified Seniors Real Estate Specialist. Jeffrey is in Who’s Who in Luxury Real Estate, the most comprehensive luxury real estate network in the world. Jeffrey is a second generation Real Estate professional. He pursued his business education and attended USC’s Entrepreneur Program. Jeffrey is a member of the Incline Village Board of REALTORS® and Northern Nevada Regional Multiple Listing Service. He is a contributing member of the community as well as a recipient of the American Red Cross Clara Barton Society Award, a Special Olympics Silver Member, and a Highway Patrol 11-99 Lifetime Member. Jeffrey and his wife, Kirstin, brought the National Bike Registry to Incline Village. Together they served as 2018 Co-Chairman of Red, White and Tahoe Blue. Kirstin Corman a New England native (Holderness School, UMO) worked for two decades in film & television production and marketing. She loves to hike, swim, telemark ski and is an avid equestrian. She finds solace in her furry friends. Kirstin loves sharing the Tahoe Lifestyle with Jeffrey and their three boys. loves hiking, telemark skiing and Luxury Network: The Corman Luxury Group maintains a far reaching and active network of agents and clients. Bay Area to Southern California to the East Coast and abroad. Coupled with the ENGEL & VÖLKERS marketing tools and global strategy, The Corman Luxury Group marketing expertise exposes your property to millions of consumers around the world and drives them to our network offices. An unparalleled marketing campaign worldwide. In-Person Engagement Brokers Open House: Invite select brokers, top producing agents and their high-end clientel for an exclusive event to preview the property. Events: In addition to the Brokers Open House, we will choose selected events to additionally expose the property and communicate the exclusive opportunity. In order to strategically announce the launch of the property, a key factor for successfully communicating the opportunity will be through press releases in premier media outlets locally, regionally and nationally. YOUR PROPERTY will be announced in the WSJ, San Francisco Times, and LA Times to reach prospective high-net worth buyers and capital investors. Before listing your property on the MLS and all syndicated websites, we will send out an email marketing piece via our Rezora platform to our entire data base, and to every REALTOR® of the LOCAL MLS. This gives us a head start on our marketing and will increase the exclusivity in order to maximize interest. Property section. According to the LA Times, homes valued over two million are three times more likely to sell when advertised in the section. The readership has a median household income of $94,000, and are two time more likely than the national average to have a household income of over $150,000. Additionally, readers are two times more likely to own a second home or investment property. informed debate and thoughtful discussion around the country. Reaching more than 23M highly educated readers nationwide, in print and online, The Magazine explores the ideas, issues and personalities defining our world: in politics, global issues, finance, culture, fashion, design and more. Some of the most influential writers and photographers of our time capture the way we live now. In addition, thirteen times a year, The New York Times Style Magazine explores the worlds of fashion, beauty, design and travel with intelligence, originality and authority. lication-of-record for devoted to the social, philanthropic and civic pursuits of notable Bay Area residents. It is home-delivered to San Francisco’s most exclusive neighborhoods, including Pacific Heights, Nob Hill, Seacliff, Russian Hill, the Marina and others. Along with timely coverage of high-profile charitable and social events, the magazine features long-form interviews, profiles of local luminaries, stories on fashion, health, beauty, money, real estate, travel, food and wine. Gentry SInce 1993, Gentry has been celebrating the people, places, and things that have shaped our region into a global leader – and the local innovations and innovators that will continue to transform the world for years to come. It‘s targeted distribution reaches Silicon Valley’s most affluent and influential homeowners every month it’s coverage spans San Francisco, the Peninsula, and Silicon Valley. With the highest incomes, worth, and home values in the United States, this exceptional region presents tremendous buying power and exerts unparalleled influence on decision-making and trendsetting around the world. The above print advertising is not a contractual agreement but opportunities for advertising your property. ©2019 Engel & Völkers. All rights reserved. Each brokerage independently owned and operated. Engel & Völkers and its independent License Partners are Equal Opportunity Employers and fully support the principals of the Fair Housing Act. All information provided is deemed reliable but is not guaranteed and should be independently verified. Bay Area’s favorite pastimes—dining and drinking; fashion, design and the arts; fitness, travel, and the great outdoors—and we share our discoveries online 24 hours a day, seven days a week. From inside the heart of the city, 7x7 look outward to the burgeoning boroughs of Oakland, and to the innovation hub of Silicon Valley. bi-monthly exclusively for the world’s most discerning travelers. Distributed through FBOs throughout the world, our readers include royalty, heads of state, celebrities, captains of industry, and private aircraft owners; all of whom expect the highest standards of excellence. Private Air Luxury Homes Magazine caters to the wants of ultra-high net worth individuals with a unique perspective and a genuine grasp of what interests its reader – the world’s most exclusive real estate, investments opportunities, fine art and collectibles. Each issue is edited and designed to be kept and found, not only onboard private jets, but also in the homes of some of the world’s wealthiest and most discerning individuals. brand Homes & Land Magazine, San Francisco Real Estate Times offers both print and online listing exposure. Printed 8 times a year, this publication brings incredible value to those who advertise their properties by syndicating the listings to prestigious websites such as RobbReport.com, DuPontRegistry. com, UniqueHomes.com, MansionGlobal.com, The New York Times, Wall Street Journal and the Washington Post. In Addition, the listings advertised also are syndicated to Europe, Latin America and Asia via europe.wsj.com, cn.wsj.com, asia.wsj.com, india.wsj.com and lat.wsj.com. around The Americas. In addition to advertiser distribution in The Americas, copies are sent to select Engel & Völkers shops globally including Hong Kong, Paris, Valencia, Barcelona, Hamburg and Doha, to name a few. Engel & Voelkers Private Residences showcases premier properties and offers both national and international exposure for your listing. GG Magazine Printed seasonally and in six languages, GG, explores culture, art and architecture, and profiles innovators, artists and celebrities as well as the homes they live. It is the high-end publication in which we showcase many of the properties we represent. GG, is delivered directly to Engel & Völkers top clients, distributed throughout our international network and made available on newsstands throughout Europe. Giving us the EDGE. Extensive Exposure will help get your property in front of potential buyers. Global reach with boutique style is what you can expect when working with us, whether you’re in Incline Village or anywhere around the world... we’ve sharpened our EDGE. We are committed to delivering the highest level of customer service. 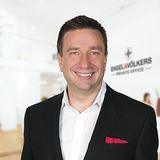 Engel & Völkers provides Extensive Domestic & Global Exposure (EDGE) designed to maximize exposure of your property to qualified, targeted buyers worldwide. Through the most highly trusted strategic online and mobile marketing partners, the Engel & Völkers network spanning more than 33 countries and the white glove professionalism Engel & Völkers offers, we market your property with the utmost care and competency. Engel & Völkers’ suite of websites enhances consumer engagement and assists in generating leads. The hyper-local advisor and shop-level websites concentrate on listing exposure to local and regional home buyers, while other potential buyers can discover our listings throughout North America from the Engel & Völkers national sites. International buyers also have access to your listings via our international websites, which are linked with our global network. JamesEdition is the world’s luxury marketplace. Featuring private jets, yachts, exotic cars, exclusive watches and luxury homes, JamesEdition helps you find the best of the best around the world. Listings over $500,000 are marketed throughout 120 countries. Juwai.com is the largest and most authoritative source for global property data and advanced search designed for the Chinese real estate buyer – the largest international buying force in real estate. ListHub is where your listings need to be. As the largest U.S. platform for listing distribution, it markets your property to an audience of more than 20 million home enthusiasts through 80+ publishers and over 750 targeted and trusted websites. ListGlobally allows us to advertise Quiet Waters to the world, giving it the exposure it deserves. We’re able to upload your property and ListGlobally does the rest. Engel & Völkers’ unique partnership will automatically send your property to over 60 million buyers and investors across 120+ trusted international websites in more than 65 countries, with key coverage in Asia, Europe and North and South America. Our clientele are accustomed to finding what they are looking for quickly and easily with just a few clicks. All Engel & Völkers advisors are equipped with a dedicated mobile app, powered by Smarter Agent Mobile, LLC, to get your listing directly into the hands of potential buyers. All interested buyer queries come back to the person who knows your property best (second to you, of course) – your dedicated advisor. As a client of ours, we invite you to use our app to access our entire portfolio of over 60,000 properties. Download the new Engel & Völkers App now from the app store. Zillow Group houses a portfolio of some of the largest real estate and home-related online brands focusing on all stages of home lifecycle: renting, buying, selling, financing and home improvement. Zillow Group is dedicated to empowering various consumer segments through its suite of online brands featuring rich data, inspiration and knowledge regarding homes and neighborhoods. North America has long reigned as one of the top regions for Chinese buyers on Juwai.com, and this timely joining of hands with Engel & Völkers North America will offer even greater access to Chinese overseas home-buyers looking to purchase in Canada or the US. Juwai.com has a monthly audience of 2 million Chinese property hunters. Juwai, which means “home overseas”, is visited by thousands of Chinese buyers each day from over 326 cities throughout China, as well as major Chinese communities in Taiwan, Hong Kong, Malaysia and Singapore. China’s “largest overseas property website” according to Bloomberg News, provides Chinese-speaking consumers with the most comprehensive list of property listings, news features, market analysis and property buying guides to assist them in making informed and educated decisions about purchasing overseas property. This new partnership will give nearly 5,000 Engel & Völkers listings in the US and Canada added exposure and visibility behind China’s Great Firewall. From million dollar trophy homes to more modest condominiums, Chinese buyers are the fastest growing segment of global property buyers. your property will be in front of these buyers. Chris Liem, owner and principal of Engel & Völkers, Hong Kong, has turned E&V into one of the most recognizable names and into the largest real estate company in Hong Kong. Foreign buyers have purchased $153 billion in property in the past year. Chinese nationals have been the biggest buyers of this group, purchasing $31.7 Billion worth of property in the United states. Our relationship with Chris Liem will get your property in front of these buyers. Because video is the most engaging mediums when marketing a property, with our professional videographer to produce a video which shows best communicates the lifestyle and exclusivity of your property. This is a key to the success of our digital media campaigns and to engage our targeted audience, in order to expose your home as professional as possible. Video is one of the most engaging mediums in our technology driven market. It is a tool that we successfully utilize across a multitude of platforms, including YouTube, Facebook, Instagram, News Media, E-mail and more. As a demonstration of Engel & Völkers’ commitment to setting the highest standards in real estate service, it has invested in equipping each of it’s shops with virtual reality capabilities. Through it’s partnership with immoviewer, every Engel & Völkers network member has the ability to provide 3D listing tours benefiting both buyers and sellers.